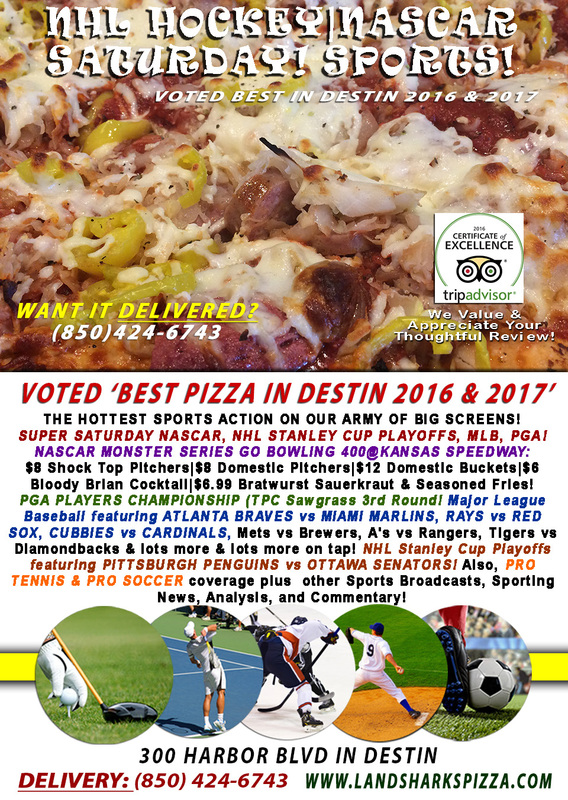 / Best Calzone in Destin FL / NASCAR TRUCKS Freedom Friday|PLAYOFFS $6.99 Calzone|LIVE MUSIC w/SOMETHING FISHY@5:30 w/Parrotheads! 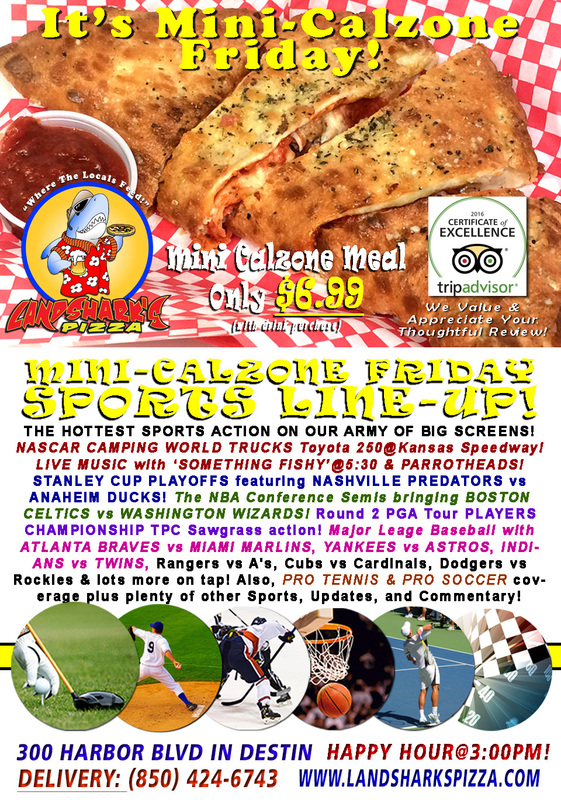 NASCAR TRUCKS Freedom Friday|PLAYOFFS $6.99 Calzone|LIVE MUSIC w/SOMETHING FISHY@5:30 w/Parrotheads! Let’s kick off a fabulous weekend our 2-TOPPING CALZONE $6.99 dine-in special plus NBA & NHL PLAYOFFS and then we’ve got LIVE JAMS@5:30! 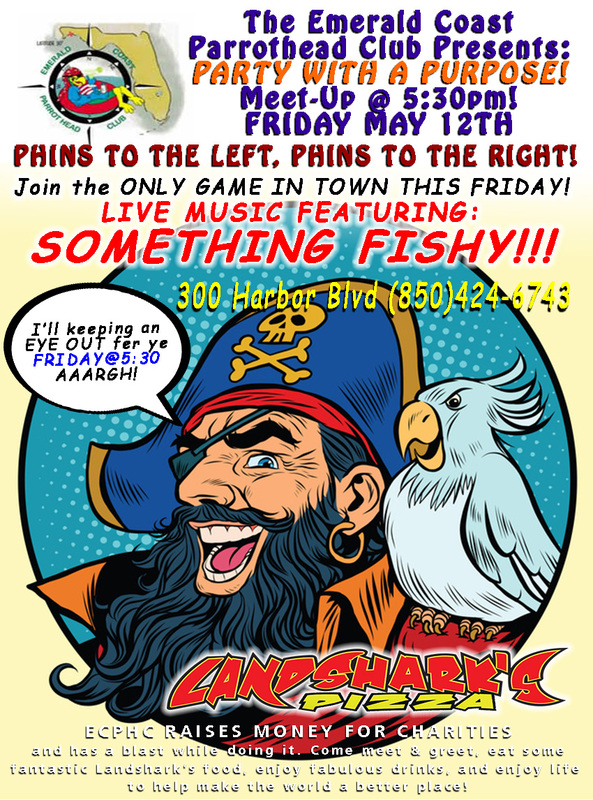 JOIN THE PARTY w/THE EMERALD COAST PARROTHEADS TODAY! Nobody knows how to have a good time for a good reason like the Parrotheads, and you’re invited to come enjoy the fun on Friday as LIVE MUSIC will be provided by ‘SOMETHING FISHY’ (5:30PM)! SPORTS ON OUR ARMY OF BIG SCREENS – NASCAR CAMPING WORLD TRUCKS Toyota 250@Kansas Speedway! STANLEY CUP PLAYOFFS featuring NASHVILLE PREDATORS vs ANAHEIM DUCKS! The NBA Conference Semis bringing BOSTON CELTICS vs WASHINGTON WIZARDS! Round 2 PGA Tour PLAYERS CHAMPIONSHIP TPC Sawgrass action! Major Leage Baseball with ATLANTA BRAVES vs MIAMI MARLINS, YANKEES vs ASTROS, INDIANS vs TWINS, Rangers vs A’s, Cubs vs Cardinals, Dodgers vs Rockies & lots more on tap! Also, PRO TENNIS & PRO SOCCER coverage plus plenty of other Sports Broadcasts, Sporting News, Analysis, and Commentary! MOTHERS DAY: We will be CLOSED this Sunday for Mothers Day in order to spend time with those we love. NASCAR This Week: SATURDAY Monster Energy GO BOWLING 400@Kansas Speedway (May 13). 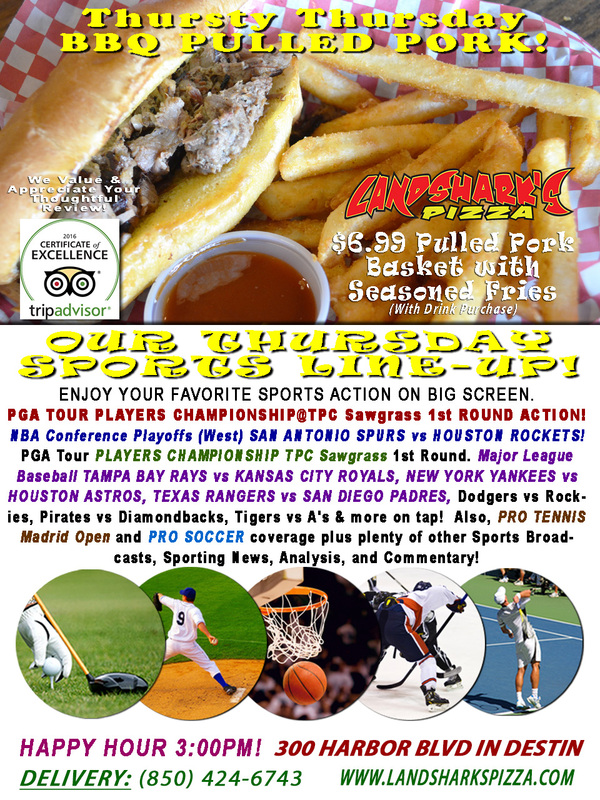 Previous Post: « PGA PLAYERS CHAMPIONSHIP & NBA Playoffs & Destin’s BEST TRADITIONAL BBQ Basket only $6.99!